In 2018, the number of detections of illegal border crossings reached its lowest level in five years, but migratory pressure remained relatively high at the EU’s external borders, according to the Frontex Risk Analysis for 2019 report that was released today. The total figure fell 27% from the previous year to 150 114 and was 92% below the peak of the migratory in 2015. This was in large part due to the dramatic fall in the number of migrants on the Central Mediterranean route, where the number of detections plunged 80% to 23 485. The Western Mediterranean became the most frequently used route into Europe. 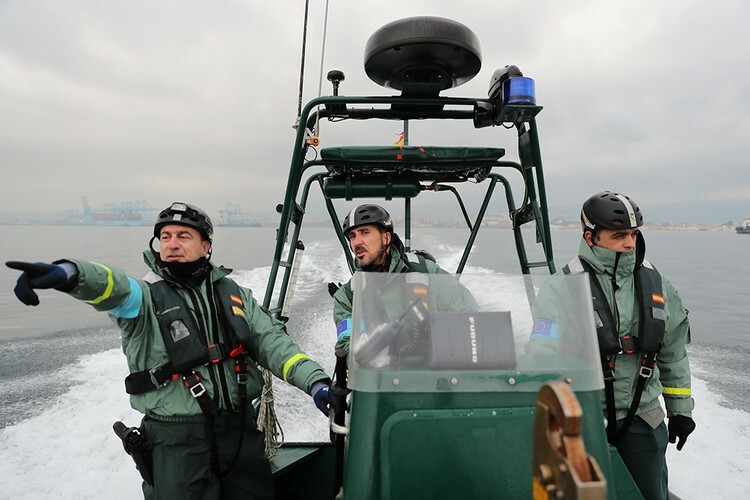 The pressure on Spain has been rising over the last years, and the number of detections in 2018 reached 57 034, double the number from 2017. The number of departures from Morocco increased five-fold. Most of the migrants taking this route last year came from sub-Saharan countries, but the number of Moroccan nationals also increased significantly. The Eastern Mediterranean saw only slightly fewer detections than the Western Mediterranean route. With 56 561 illegal border crossings, the pressure was 34% higher than in the preceding year due to the increase in land crossings from Turkey to Greece. The Western Balkans continued to be transited by irregular migrants trying to reach Western Europe from Turkey. Two main routes through the region stood out in 2018 with pressure shifting between them as border control activities were enhanced and reinforced in certain areas. Migrants travelled via both the central route via Serbia and the route stemming from the Greek- Albanian border section, along the Bosnian and Herzegovinian–Croatian–Slovenian corridor and, to a lesser extent, on Serbia’s EU borders with Hungary, Croatia and Romania. Last year, Frontex began to collect detailed data on the gender and the age of irregular migrants. Nearly one in five of all the detected migrants last year claimed to be under the age of 18. The Eastern, Western and Central Mediterranean routes represented the main entry points for arriving children. This new development is crucial not only for a better monitoring and understanding of incoming migratory flows, but also for the effective identification of vulnerable groups.